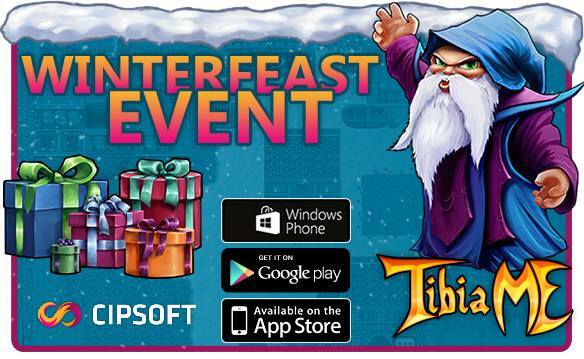 The Winterfeast deals are coming to town! From Monday the 21th of December until January the 10th Islands, boosts or Extra services will be off up to 25%! So you better keep an eye on your Marketplace. Today we will start the beta test for the second update of 2015. This beta will be open to public for all players as there has been much delay with the update already and the beta will only be up for a few days. Like the last beta this one can only be accessed by a special webclient that can be found at http://www.tibiame.com/beta/beta.php. With this client just create a new character on either world 3 or world 4. As usual you will find special npcs all over the world that will give you experience and gold for free. Platinum will be delivered on a regular basis by the gameserver. Some of the special npcs have a new option called prepare. When choosing this, your character will be enabled to play the new update. So just talk to the npc, choose prepare and then pick either option to determine where to begin. This second update of 2015 will end the journey you began in the first part of the Banuna revamp. You now go back to either Hurtz or Kurtz to continue on the path of creation. Your way will take you all across and under Banuna through new and redesigned areas to solve 12 exciting brand new quests. 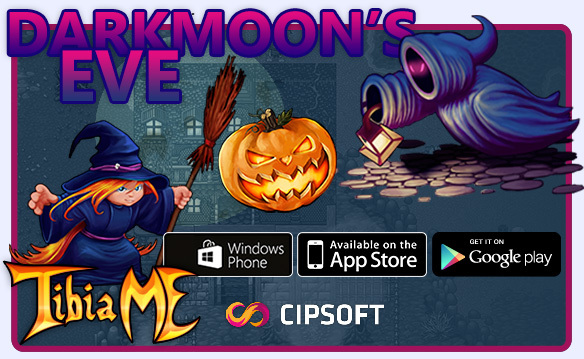 Experience treachery and fight your way through ancient ruins, while solving complex riddles and escape dangerous traps, to get your revenge... and to recover the ancient artefact of the creator gods. Recover the rest of the pieces of the ancient covering armour set buried deep in the ruins of long forgotten temples. Be prepared to solve complex riddles designed by the elders to protect the holiest areas of their temples. Are you clever enough to solve them and gain entrance to places nobody has ever seen before? We hope you enjoy the next day of beta testing. Have Fun! P.S. : Choose the "Prepare" Option as early as possible or you might not be able to check out the new content. On Friday 20.11.2015 all gameworlds will be down from 10:00 CET to 11:00 CET for maintenance reasons. Today we added Paymentwall. With this new payment provider we are able to offer you an even greater variety of payment methods than before. Just check it out and see if you find a method that suits you. The Darkmoon's Eve has begun. There are rumors about witches trading cursed masks for ghost lights around Aurea. Ghost lights, which the witches are looking for, can be found being carried by many scary monsters such as Spiders, Bats or Skeletons. Some scary stories about evil witches and tyraclops haunting Aurea during the Darkmoon's Eve have also been told. Better hunt carefully. The horror continues until 08.11.2015 midnight CEST! It's Double EP time again! 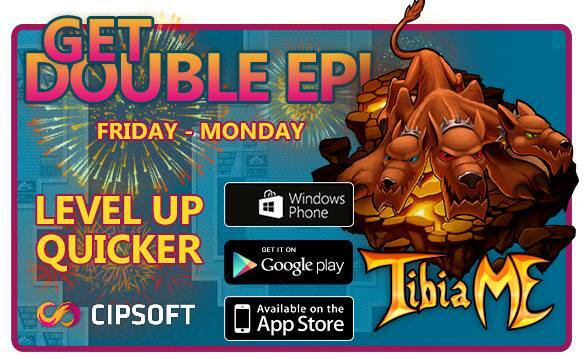 From Friday (23.10.2015) until Monday (26.10.2015) midnight CEST you will receive double experience for your hunting efforts! 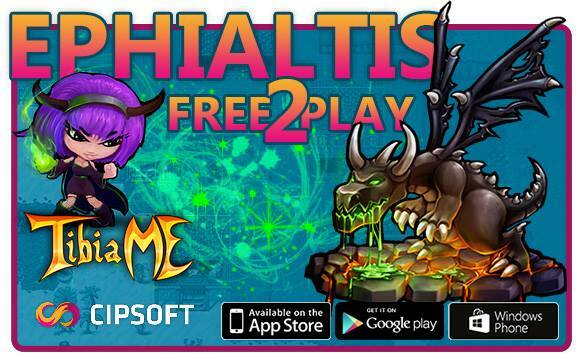 This weekend Ephialtis will be free for everyone. From Friday (09.10.2015) until Sunday (11.10.2015) midnight CEST you get unlimited access to all areas of Ephialtis for FREE. 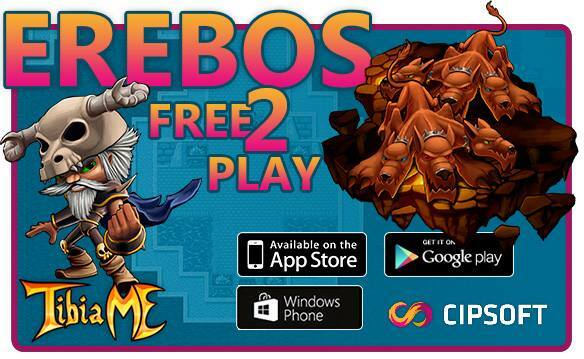 This weekend Erebos will be free for everyone. 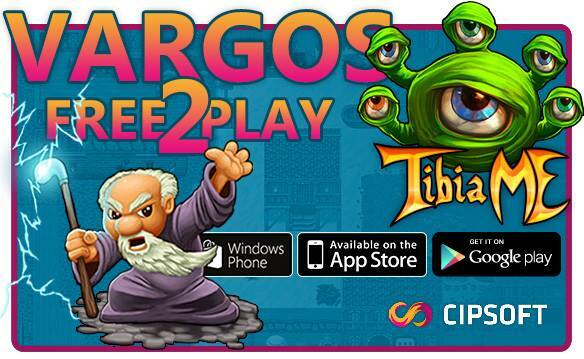 From Friday (25.09.2015) until Sunday (27.09.2015) midnight CEST you get unlimited access to all areas of Erebos for FREE. Today we released a new Android Client (2.23). This new release contains some adjustments to the client login server communication. It also addresses some issues with the UI on high resolution displays and closes a possible security vulnerability. Please note that while the client might work on older android versions, it officially supports only android 2.3 or higher. This weekend Vargos will be free for everyone. From Friday (11.09.2015) until Sunday (13.09.2015) CEST you get unlimited access to all areas of Vargos for FREE.